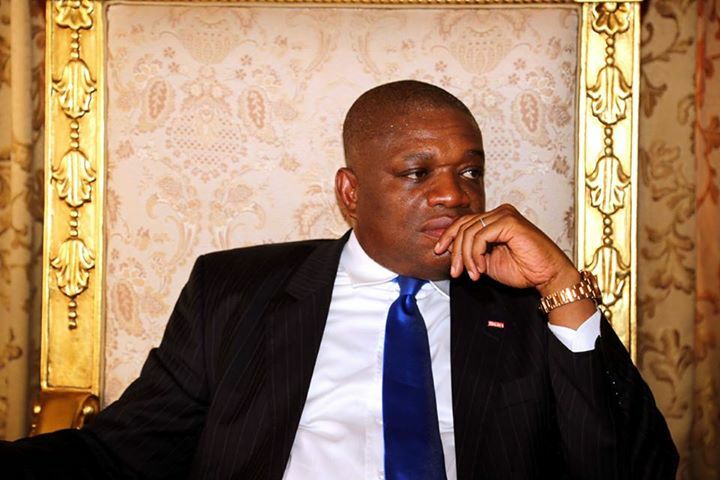 Dr. Madukwe Ukaegbu, an aide of former Abia State Governor, Dr. Orji Uzor Kalu, has debunked rumours that the business mogul is critically ill.
Report emerged online yesterday that Kalu, the All Progressives Congress, APC, candidate for Abia North senatorial district in the 2019 election, has been flown to a German hospital. According to the report, the APC chieftain was rushed to a hospital in Germany when he went into coma. Ukaegbu, in a statement he made available to reporters on Thursday, said the report was fake news and handiwork of political hackers and hoodlums. â€œPolitical enemies are at it again because they know that their time is up; they know there is going to be a level playing field in 2019 election and they are aware that Kalu is going to win the Abia North senatorial district seat and they think that the best way to stop him is to continuously dish out fake news, thinking that is the only way to stop him. â€œThe other time, the rumour was that his name was not in the APC register and when that could not work out, they came with another rumour that he was screened out by his party to contest the election and that even his name was not on INEC list of those to contest the election. â€œWhen all these failed, then they came with the fake news that he was among Nigerians banned by the Federal Government from travelling out of the country. â€œAs that also hit the rocks, when they learnt he travelled to Germany on his normal overseas business trip, they now said he was rushed out of the country critically ill. I wouldnâ€™t know if they said half dead. â€œTo put the matter straight, I spoke personally with Kalu on Tuesday night and again on Wednesday morning after he might have finished speaking with his lawyers over his case that is coming up next week. â€œHe is in Germany, hale and hearty, meeting with his business associates from around the globe,â€ he said.